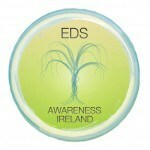 Mint Clinic What is Ehlers - Danlos Syndrome and what are the symptoms. What is Ehlers – Danlos Syndrome? I remember, it seems such a long time ago, when I first came across an EDS patient He attended the oral surgery department in the old Dublin dental hospital with a jaw problem. Of course, the consultant at that time did what all experts do – he asked the registrar to research it while the patient waited in the chair! This took some time as the library was across the road, but it gave our hollow minds a chance to ask him lots of questions. Rumour quickly spread that he was to be a finals patient. As it turned out, he was not selected. The professors could not ask questions they themselves could not answer. I don’t remember what treatment, if any, he received, but I never saw him again. I hope that life has been kind to him. Fast forward 20 years and we are still none the wiser. Every so often, this condition grabs the public’s attention. Nicola Peate made international headlines while attempting to eat a hamburger. It’s a group of inherited disorders that affects connective tissues — primarily your skin, joints and blood vessel walls. Your face contains all of these. The mouth or oral cavity is particularly delicate and often damaged very easily, not surprising given the extent of collagen present. Humans possess 19 types of collagen and it is especially difficult to establish a precise diagnosis. The prevalence of the condition varies between 1:10,0000 and 1:150,000.In Ireland , figures are scarce. According to Natalie Murphy, chairperson of the Irish EDS support group, she estimates that there may be 916 in the country. A new survey is pending. Many have advanced dental problems and suffer significant side effects from even the most routine of dental procedures. A number of clinicians sadly underestimate the levels of pain endured and a number have endured significant discomfort and in some cases postponed routine treatment due to fear of pain. Issues with local anaesthetic can be profound and there is very little research on this. Therefore many of these patients travel to the U.K for treatment. Several articles describe the skin and joint problems linked to EDS, but very few describe the oral manifestations of the condition. I have highlighted the more common ones here, but there are variations between individuals. What effect does this have on patients attending the dentist? Many. My particular expertise is ON gum disease and its effects. Early intervention and prevention is crucial. In my next article I will discuss what precautions a dentist should take and what helpful advice an EDS patient can follow to improve their oral health.